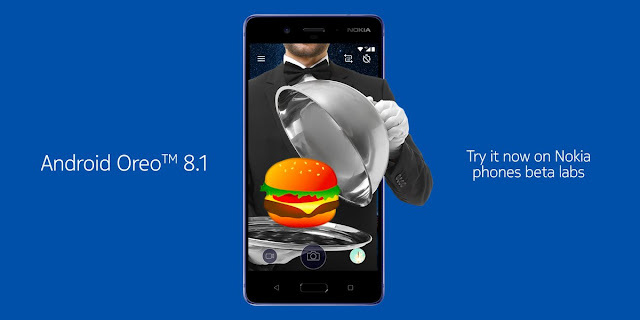 HMD Starts Testing Oreo 8.1 For The Nokia 8 - AndroGuider | One Stop For The Techy You! HMD Global conceived Nokia Phones Beta Lab to test out Android updates for its devices. The program was initially started for testing Oreo 8.0 for the Nokia 8, and was later on expanded to the Nokia 5 and the Nokia 6. Google released the stable version of Oreo 8.1 last month and now HMD has started testing Android 8.1 for the Nokia 8. You can try out Oreo 8.1 on your Nokia 8 by signing up here. After filling up the registration form, you will be asked to enter the IMEI number of your device. This is to verify that you do own a Nokia 8. Once everything has been validated, you will get an update notification on your Nokia 8 within twelve hours. A Reddit user installed the Oreo 8.1 beta and shared the release notes of the update. The beta testing of Oreo 8.0 for the Nokia 8 began in October 2017 and the stable update was rolled out a month later. If this timeline is anything to go by, the Nokia 8 should get the stable update of Android 8.1 by the end of February.